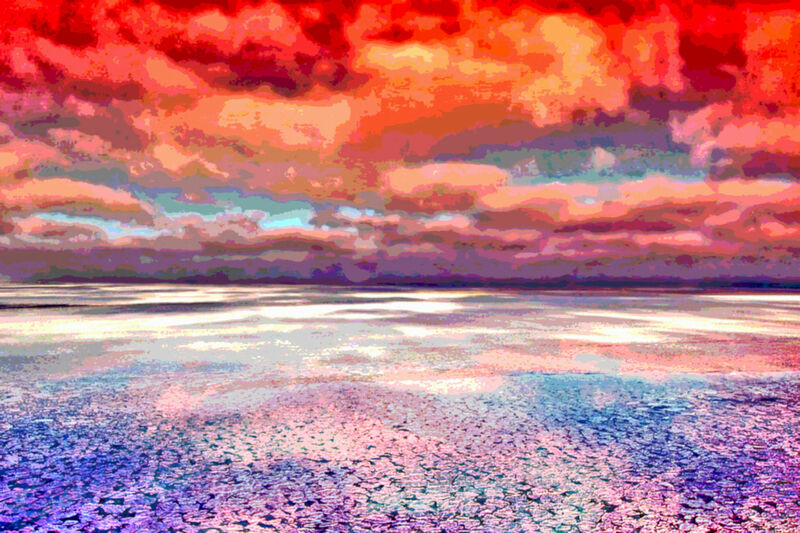 This new ocean landscape art is called Horizon Beach. I made it with computer software, math and many visits to Florida beaches. I love the beach and landscape art, it was only a matter of time before I combined my loves. Visit my secure online store at Fine Art America to buy the Horizon Beach ocean landscape. Thanks for checking out the newest of my Horizon Beach ocean landscape artwork. You can see more of my landscape art in the Landscape Art Gallery. Visit the about me page to learn how and why I make art or hang out on the digital art tutorials page where you can learn how to make your own digital art. Art inspiration series of 2013, path and bridges. Inspire art and artists. Digital art gallery. Garden, Flower and Path Art, artwork by fine digital artist Mary Clanahan. Garden, flower and path landscape art images. Digital landscape city art called Moon City by Mary Clanahan for the Mapping Bridges art series.